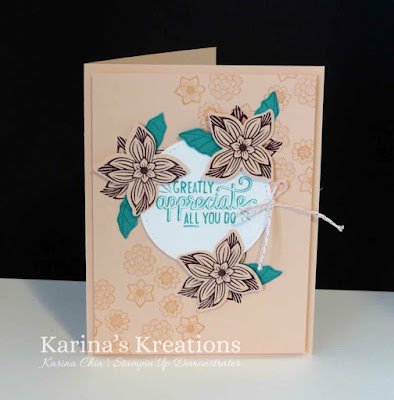 Karina's Kreations: Stampin'Up Pop of Petals Stamp Set! Stampin'Up Pop of Petals Stamp Set! This cute cards is one of the cards the attendees will make. I have a fun tip to share for the Pop of Petals stamp set and Four Petal Punch. I made a super quick video for you showing how to make this cute card. I hope you enjoy it and please be warned that it is not edited. To order any of these products please click on the picture below to go to my stamping store.